The Academy was well represented in VEX competition on November 15 with four Lancer teams participating at various meets around the Island. 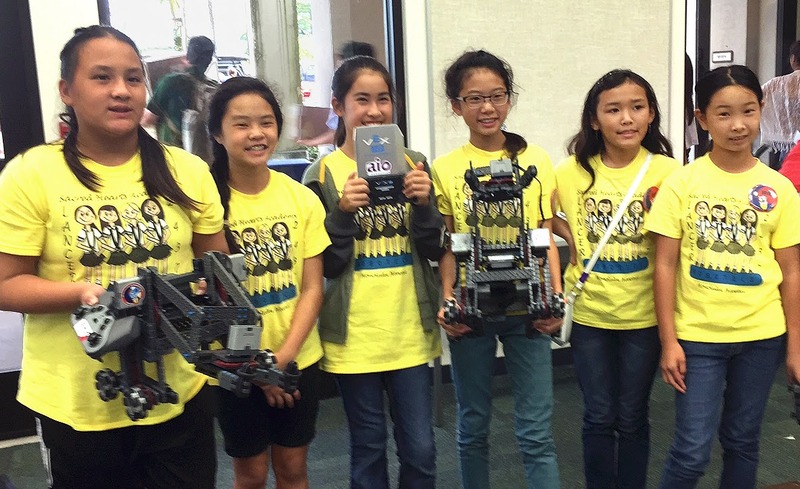 Two VEX IQ teams comprised of sixth graders participated in the aio Waialua-Windward Community College VEX IQ competition, and the team of Shari Ho, Fiona Sun and Emma Kauhane won the Sportsmanship Award. 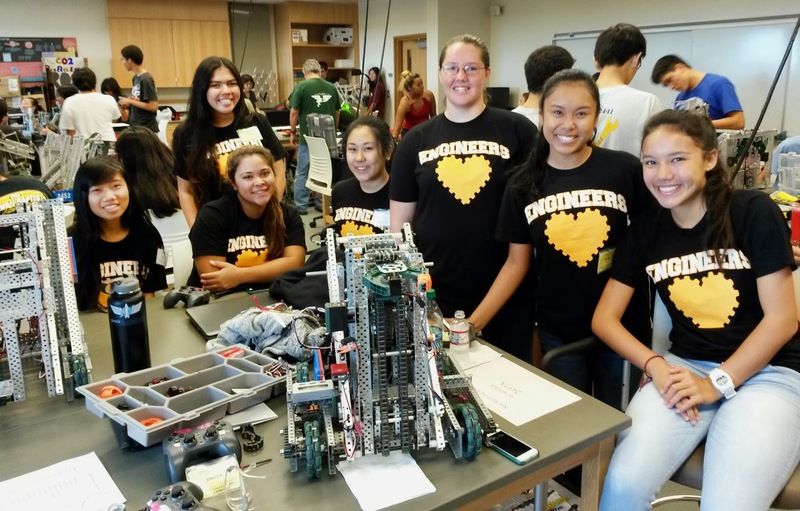 Also, two teams of High School students from the “Introduction to Engineering” and Robotics classes attended the West Oahu VEX Competition at the University of Hawai’i–West Oahu. This meet was the first competition experience for these participants, who used the opportunity to test the robots which were built in class. The Academy’s Robotics Team attend the first four VEX competitions of the school year, and the Introduction to Engineering and Robotics class students will have another opportunity to compete in the next VEX robotics competition.